With technological developments, numerous gadgets have been introduced for entertainment needs of people. While the most momentous and significant electronic device people are considering for the subject is the DVD player. It is becoming the top-notch item in the list of electronics. On other side, seeing this demand of DVD players, manufacturers are producing different types and designs, types according to the usage like for cars and for home theatres etc. So if you go through markets you may come across dense types of DVD players and it is not easy to select the best one for your need. Hence major factor here is to determine your need first and then step on towards the right fit. It is the more developed form of entry level DVD players, present better picture quality. It has progressive scanning function that enables the drawing of entire picture in real time at the refresh rate of 60 frames per second. For home theatre addicts, latest technology to date is now out there to enable them to get a unique experience of watching movies at home. Thanks to this technology that is bringing feature like altered depth of field, appearance of on screen videos in physical depth that is actually giving peculiar interactional quality to a movie. 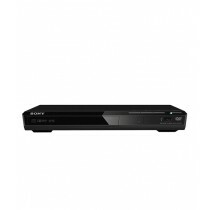 It is the DVD player with having 7 to 9 inch LCD screen that opens up a new experience of enjoyment. It is very convenient to operate and carry with while you are travelling. It is a light weight option for those who love to collect DVDs. iShopping.pk is the sole online store, offering genuine brand DVD players. It is very easy for you to choose DVD player for your need, just narrow down our mighty selections by using showcased category page and you will get the list. Choose your desired type, brand and feature. We are offering very nominal prices as we rigidly believe in delivering the best to our customers in lowest prices in Pakistan.